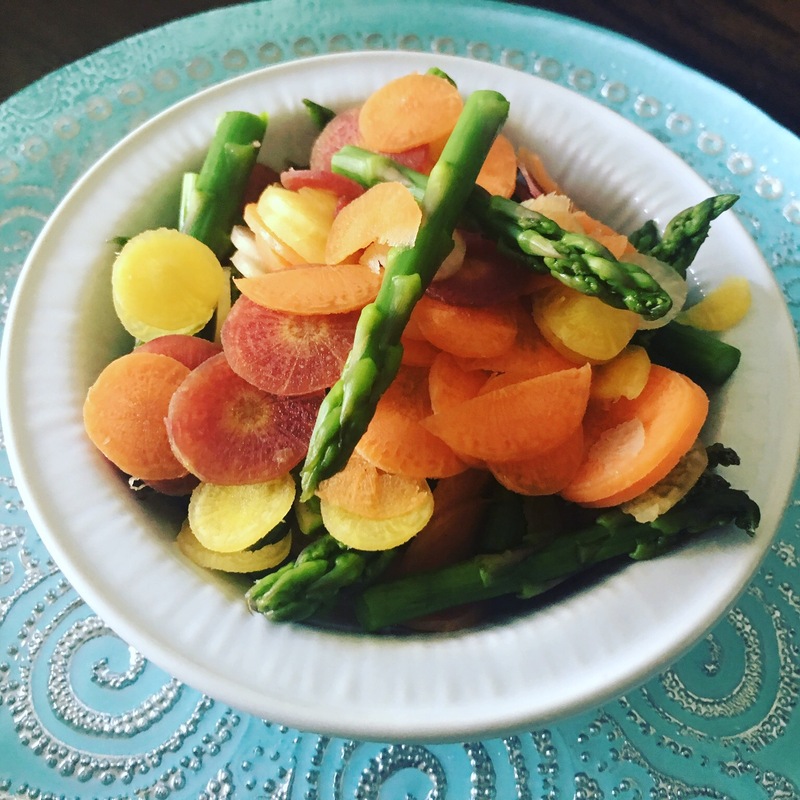 A few ways to use asparagus – Hurried Home Chef! 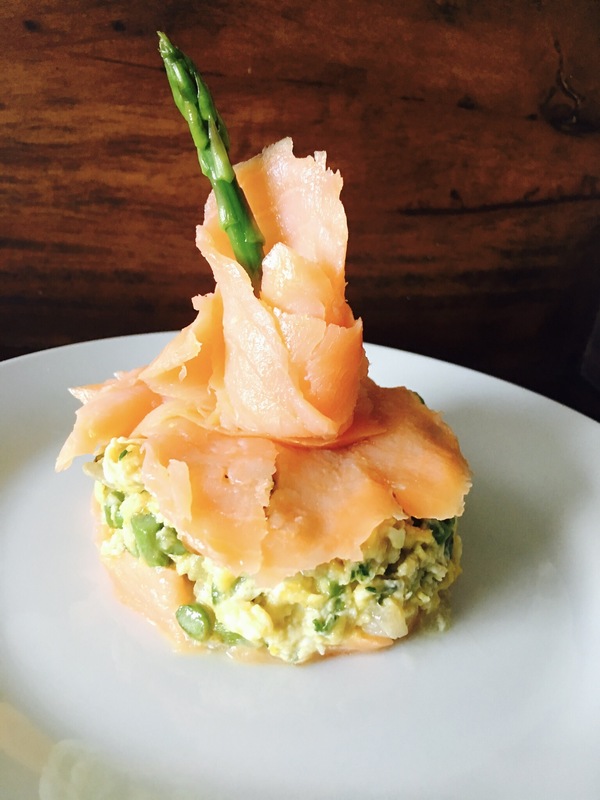 For you couples or singles out there, here are a few ways to use that huge bundle of asparagus over a few days. 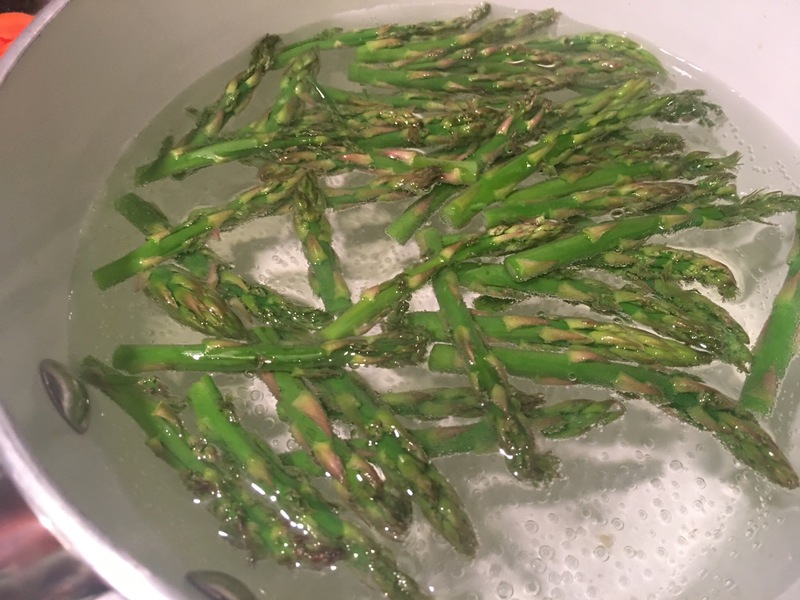 Whenever I’m boiling water for rice, noodles, or whatever, I will blanche the tips of the asparagus to be eaten fresh for salads. 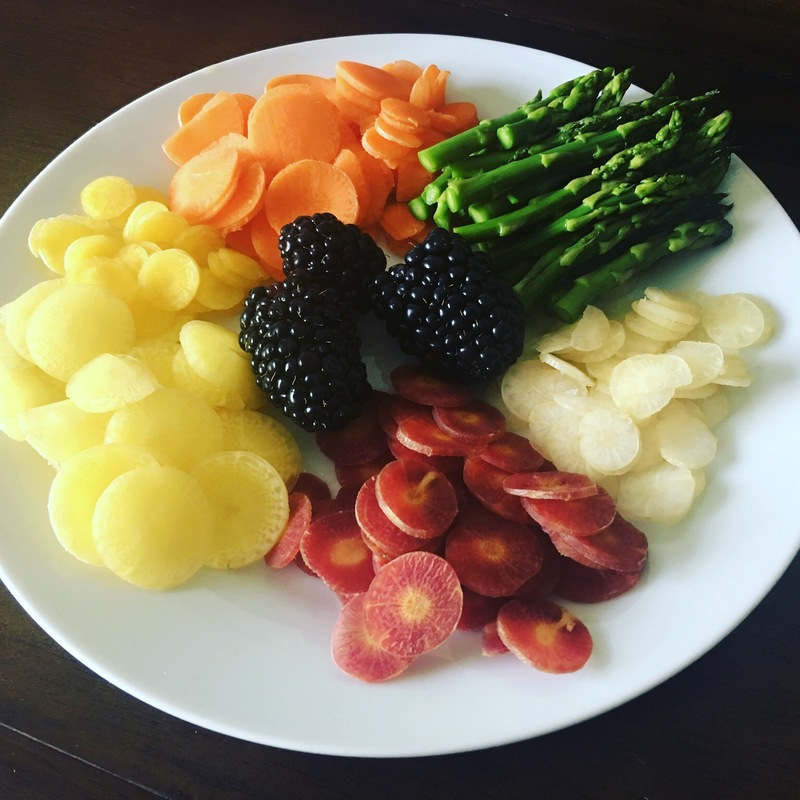 You can make a crudité platter with it, to add to salads, or to dip in hummus. 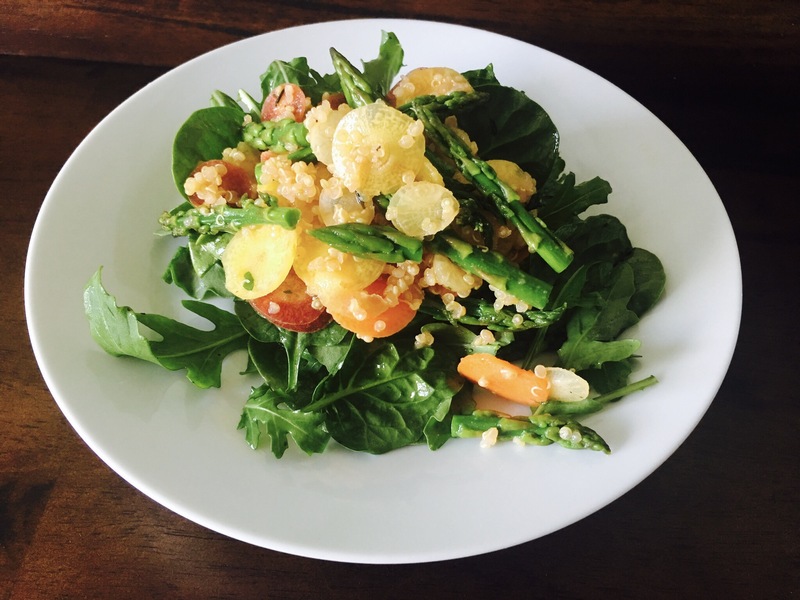 You can make quinoa and some lemon-garlic dressing and toss with some veg on top of a salad. See the blog for recipe. Then leave some aside for the next day to use in another way. Put some aside for a stir fry with some shrimp or tofu and a little hoisin or teriyaki sauce. If you’re feeling fancy, make an omelette with smoked salmon. A little lemon juice or a Bloody Mary would be good here too! 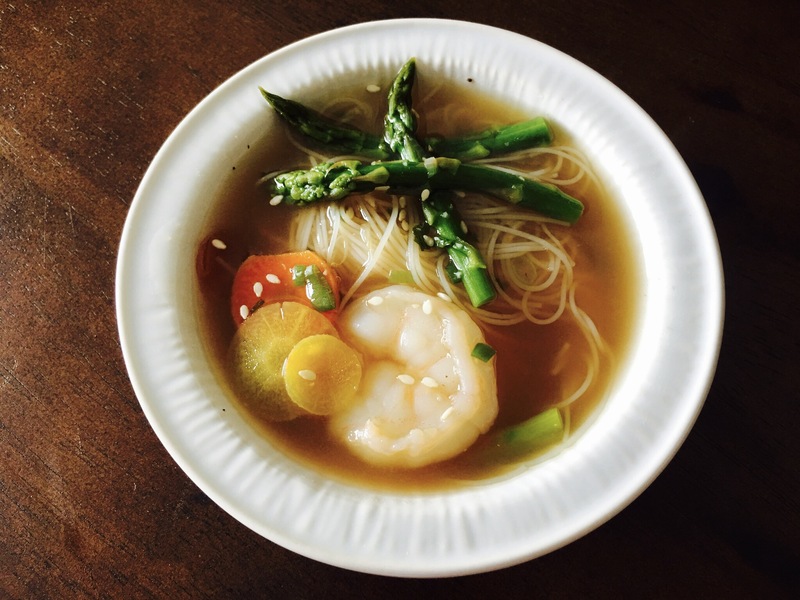 Here I made a shrimp soup with Asian flavors. So when you see it on sale, go for it, here are 5 uses for one bundle! Next Post Bacon, egg, and cheese please!